We, DNS Associates, are a futuristic group of chartered accountants and tax accountants in Kent. With our expertise in helping private clients, owner-managed businesses, freelancers and contractors across a wide range of sectors, we deliver taxation, accountancy, financial advisory and consulting services to our valuable clients throughout the country, including Kent. We are a professional firm offering accountancy services to both business and individuals in and around Kent, including Maidstone, Rochester and we are providing services for contractors looking out for accountants in turnbridge wells. Our people at DNS Associates work across more than 15 industry sectors with a prime focus to deliver measurable and lasting results. Our qualified team of chartered accountants and tax professionals works directly with the owners/directors/partners of small-sized owner-managed businesses. We are already helping people in need of Personal Insurance, Pensions, Auto Enrolment, Mortgages, Basic Accounting or Business taxation/accounting, etc. Our clients, to name a few - personal service company, financial institution, construction company, retail, restaurants and bars, contractors, and freelancers etc., count on us to help them transform uncertainty into possibility and opportunity from even the unforeseen obstacle. Kent and other conurbations such as Medway have around 800 universities and schools. Kent has the highest number and high-quality grammar schools in England and Wales. Kent, situated in South East England, is the base of many world class companies such as BAE Systems, Hitachi, Hornby, Kimberly-Clark, Pfizer and Saga. Kent also has the advantage of being near the coastline and hence, has many freight and passenger ports. Kent has exceptional connectivity to London and the continent and the area offers quality and lucrative commercial property compared to London and the South East. The key sectors in this part of London are Life Sciences, Renewable and Wind Energy, Finance and Business Services. Many people are engaged in manufacturing, banking, finance and insurance sectors at various designations such as managers, senior officials, and professionals and related technical roles. DNS Accountants – Accountants in Kent & The Accountants in Maidstone, provide accountancy & taxation servicing that meet the needs of local businesses and tax payers, in and around Kent, Maidstone and Rochester and other surrounding areas. Our expert Chartered accountants in Kent, Maidstone and Rochester help clients in services ranging from completion of year end accounts and annual returns to Real Time Information (RTI) payroll, bookkeeping to tax advice and savings, Value Added Tax (VAT) and business plans. It the fundamental duty and legal commitment of any company registered at Companies House to prepare and submit annual accounts. Our expert team of Chartered Accountants and taxation accountants at Kent, Maidstone and Rochester, guide clients at every step and ensures complete transparency right through the process. Our Chartered Accountants and taxation professionals in Kent, Maidstone and Rochester, pay attention to details to all financial matters and offer an expert accounts management and information service. Our tax accountants in Medway, Kent, Maidstone and Rochester, offer advice, guidance and support to individuals and businesses by performing the convoluted and detailed work of providing our clients the highest efforts toward reducing their tax exposure. Our tax accountants’ deal with corporate tax affairs for the clients, to include Compliance & reporting. Corporation tax can take up a substantial part of businesses’ trading costs, with harsh penalties for businesses that fail to pay the right amounts. Beginning 1 April 2016, the rate of corporation tax is 20%. Our Tax accountants take away the administrative burden by providing a number of vital support services. Our tax accountants’ help many businesses, individuals and sole traders to complete their Tax returns on time and take necessary steps to minimize the tax exposure once earnings go above the NIL tax rate threshold. Prepare, check and submit self assessment tax returns accurately and promptly. It can be hard to settle disputes or handle investigations arising from either HMRC investigations or employment concerns. With years’ of experience in dealing with tax inquiry and investigation, our Chartered Accountants and Tax Accountants in maidstone and rochester, can help businesses resolve any investigations they are faced with and avoid legal action in disputes. 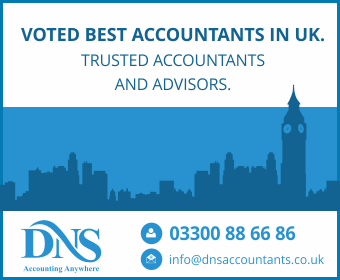 DNS Accountants – Accountants in Kent, provide specialized accountancy and tax services that are adapted to the personal and business needs of small-businesses, freelancers and contractors. Our Chartered accountants and tax accountants focus on providing dedicated and professional services to all local businesses and individuals operating in East Hill-Meridian, Gillingham, Lakeland North, Maidstone, Ashford, Dartford, and Chatham.